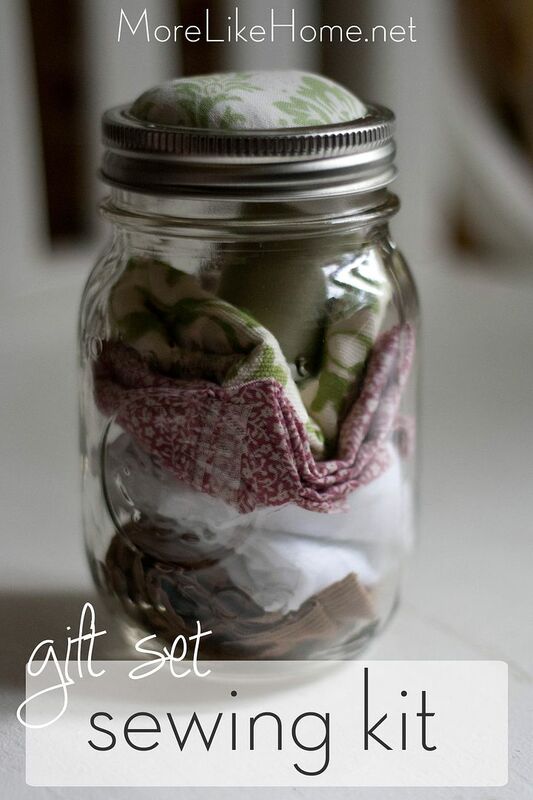 Today we're putting together a fun gift for your crafty friends. 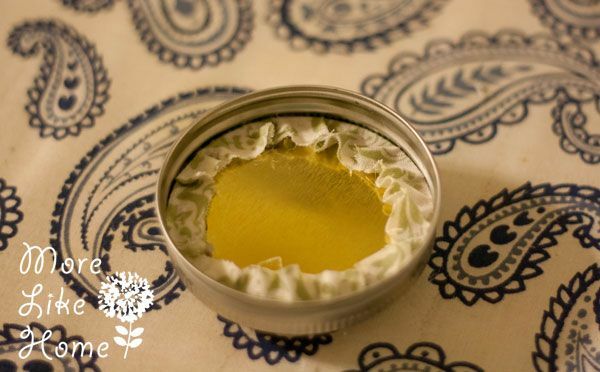 It's a mason jar sewing kit... with a twist! It has everything you need to make your own clutch or tote bag! One of my favorite gifts last year was this cute little sewing kit with a pin cushion on top that my cousin made for me. The bottom is full of little sewing do-dads and thread. 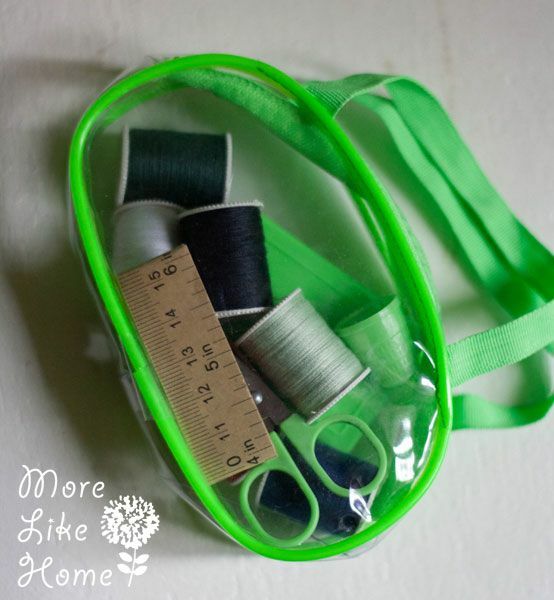 So cute, and so practical for a sewing girl like myself! So I thought it would be fun to take it just a step further. You know how people are always making cookie mixes and stuff in jars? Well, I thought why not make a sewing kit and include everything you need to actually complete a small project?! 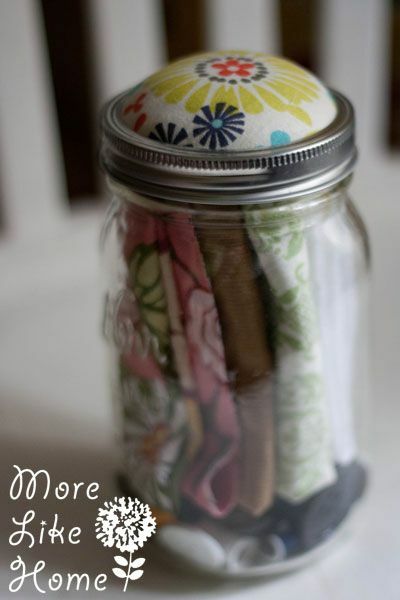 You make the pin-cushion-topped jar and instead of flour & sugar fill it up with fabric pieces, thread, directions for completing the project (I made printables of a couple different options for you), and other sewing goodies. 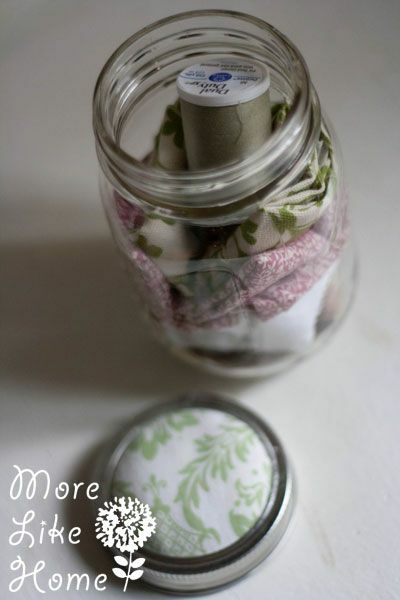 So first you need to make the pincushion top for your jar. 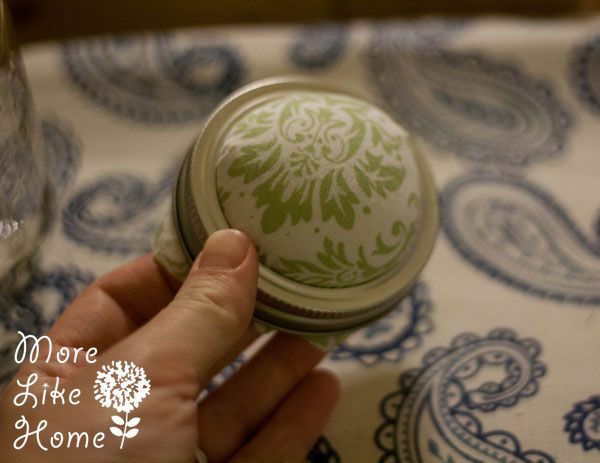 Start by cutting a circle of fabric about a little bigger than the lid of your jar (I used a small mouth lid, but found out I definitely prefer the look of the wide mouth pin cushion). 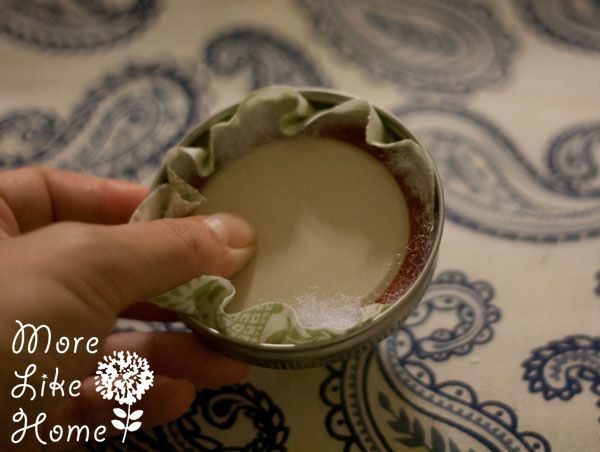 Lay the fabric face-down over the lid ring. 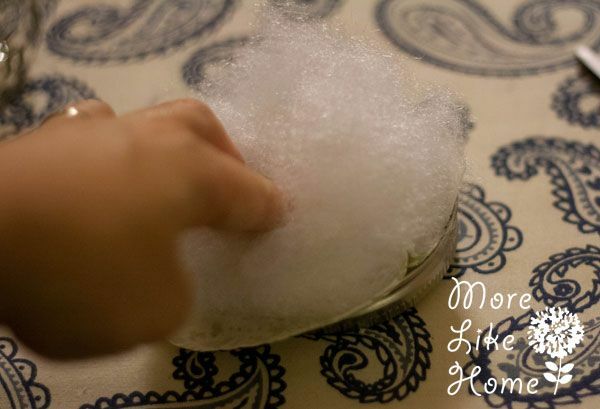 Pack a handful of stuffing on top of the fabric. Put the lid on top, face down. And press the lid into the ring. When you flip it over it should look something like this. Nice and fluffy. 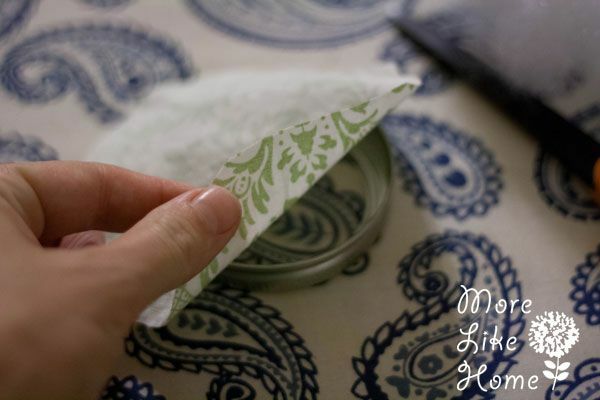 Use a hot glue gun to glue the edges of the fabric to the lid (I had to wiggle my fabric around a little because it wasn't even when I first popped it in). 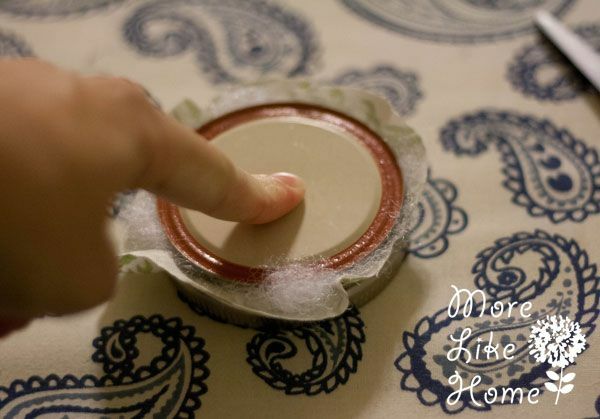 If you want you can take the lid back out and put a line of hot glue around the inside rim of the ring and then pop the lid back in to attach it permanently. 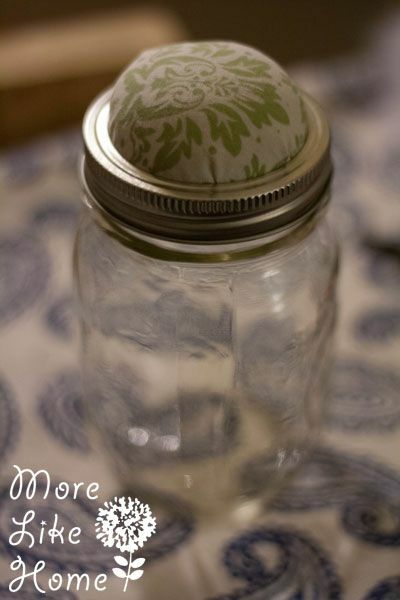 Then put the lid on your jar. That was easy! 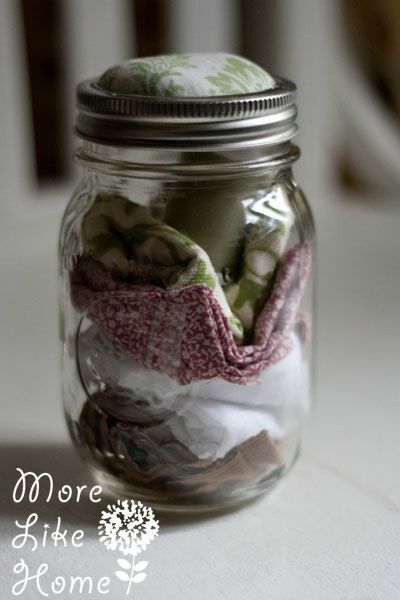 Now all you have to do is pick which sewing project you want to include. I've made printable instructions for two of my projects from earlier this week, but really anything with printable instructions can work. 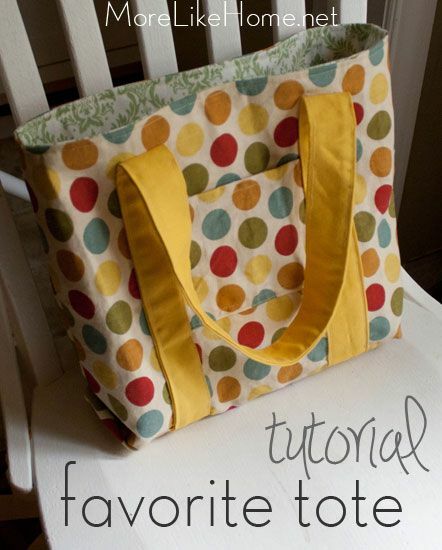 Download the Favorite Tote instructions here. 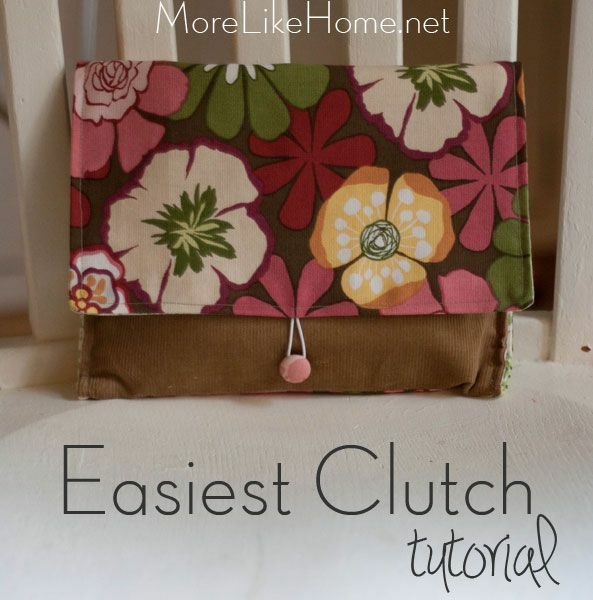 Download the Easiest Clutch instructions here. So that's it! Just pack up all the pre-cut pieces, thread, instructions, and anything else needed for the project. And wish your friends happy crafting! 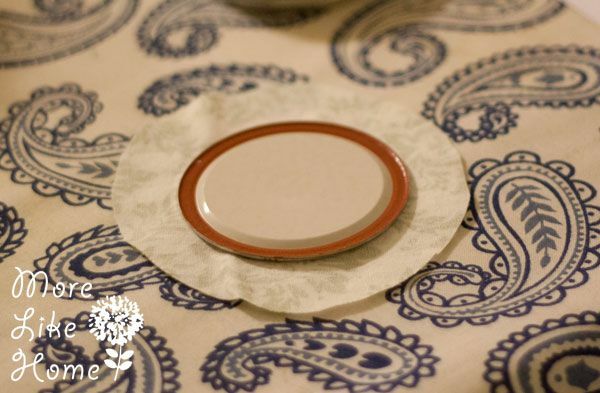 What is your favorite gift for crafty friends? 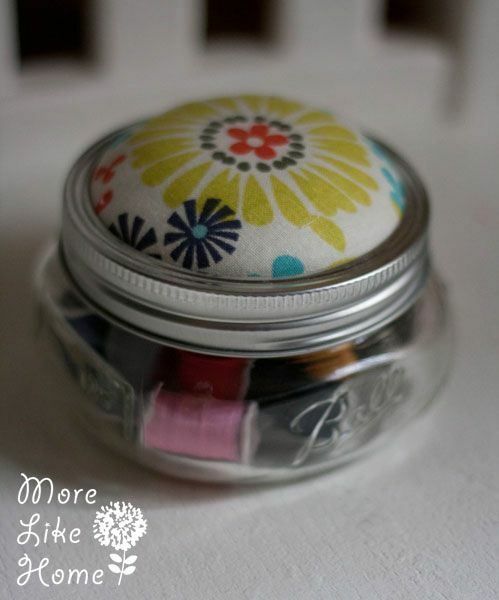 Very smart on the pin cushion lid. I think I will do this too.